If you’re planning on remodeling your kitchen this year, we’ve got the details on the most popular kitchen colors of 2016. 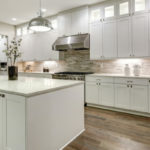 White, stainless steel and black remain popular kitchen colors, but this year we will see more shades of gray taking center stage in the kitchen. In fact, many designers are considering gray the up and coming ‘default’ kitchen color. “Cappuccino White” is another color that is taking some share from brighter shades of white. This particular off-shade of white could be described as a more neutral and creamy white said to provide a calming atmosphere. Sparkling deep blues and natural green tones are also showing up on more interior designers’ radars. Black, white and stainless steel remain popular kitchen colors but it’s becoming increasingly popular to add bright pops of color. Adding bright colors to an accent wall, backsplash or set of cabinets can make your entire kitchen that much better. It’s not just unique colors but the places that they are showing up that are pretty striking. For instance it’s becoming more commonplace for people to incorporate a bright orange sink or bright red countertops in an otherwise classic kitchen. More color is better; you don’t want a kitchen that’s all one color as this is interpreted by the eye as “flat.” In order to create dimension more color is the way to go. Just because you’re interested in incorporating color into your kitchen doesn’t mean you have to go for the brightest shades out there. There are plenty of on-trend kitchens with great color schemes that do not include bright colors at all. Warm colors are equally appealing going forward into 2016 and beyond. Cool pinks, rustic greens and sweet hues of apricot add a great touch to any kitchen. Muted color palettes are incredibly popular including charcoal, grays and neutral pastels. Dark woods have ruled supreme for a long time, but lighter woods are becoming increasingly coveted with everything from cabinets to hardwood floors shifting towards a lighter appearance. Metal range hoods are taking over kitchens everywhere and so are plenty of other metal accents. Copper, brass and bronze are growing tremendously in popularity. These colors can be incorporated on lighting fixtures, faucets, appliances and so many other parts of the kitchen. 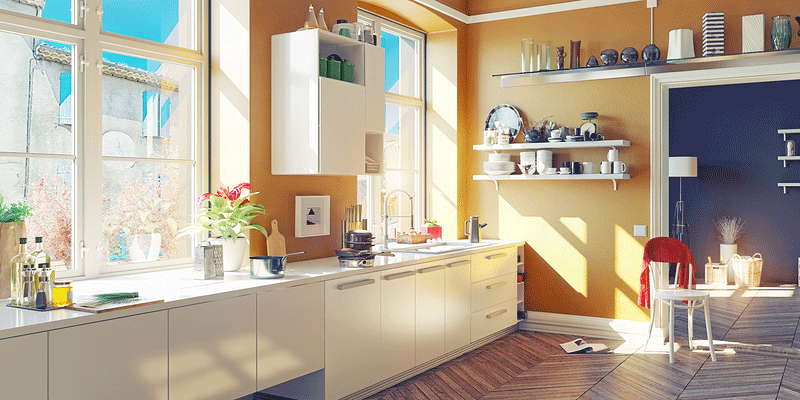 Metals are expected to trump wood in kitchens by the end of 2016. These industrial shades add nice contrast to the kitchen. Texture is equally important to color. 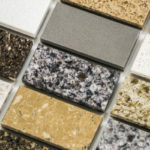 Adding unique textures to your kitchen creates a fun pop and draws the eye around the room. Texture could be incorporated through a fun backsplash, a touch of grass cloth or natural background fabrics. As India’s culture becomes more integrated with American culture we see key elements from their design schemes showing up in more kitchens in the states. Hence the rise in soothing shades of orange and yellow as well as bright pops of red, all of which are classically popular kitchen colors in India. Forget normal paint colors, chalk paint continues to gain popularity as more people realize the fun you can have adding chalk paint to just about any surface. Not only do you get a fun and modern look, but also you now have a convenient place to write notes, recipes, and so forth. Lighting is incredibly important when it comes to making the colors in your kitchen pop. Lighting alone can drastically change the look and feel of your kitchen. 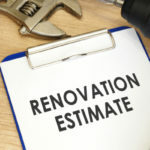 Poor lighting can make a shade of yellow appear dingy and dull, while the right lighting can transform it into a brighter and more appealing color. 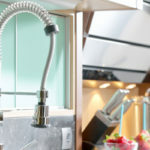 Many people are adding low-voltage lighting strips to the undersides of cabinets, with LED lights standing as the norm. LED lights can be grouped together with recessed lighting in order to create mood-setting lighting.